Directions Adults: Swallow with water 1 or 2 softgels as needed after meals and at bedtime. Do not exceed 2 softgels in 24 hours except under the advice and supervision of a physician. 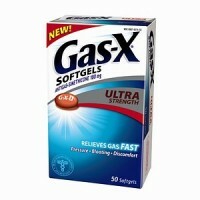 Uses For the relief of pressure and bloating commonly referred to as gas. 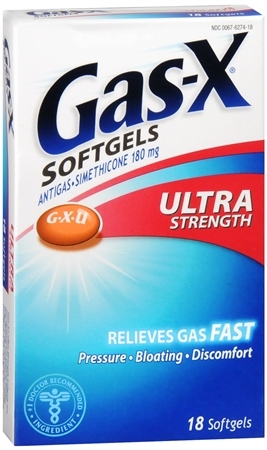 Gas-X Ultra Strength Softgels offer fast, effective relief of pressure and bloating that antacids can't provide. They are specially formulated with Simethicone, the antigas medicine doctors recommend most for pressure, bloating or discomfort referred to as gas.